A.St.A. 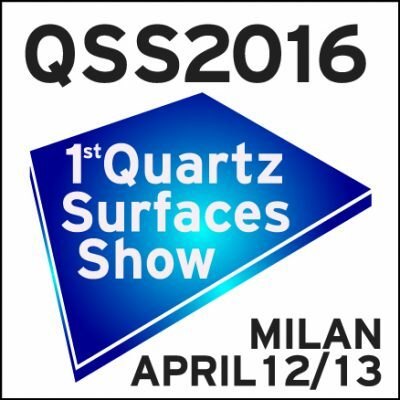 World-Wide and Breton SpA present the 1st Quartz Surfaces Show, the world biggest event entirely dedicated to Quartz Surfaces that will take place in conjunction with “Salone del Mobile” in Milan on April 12th and 13th 2016, at MiCo Fiera Milano Congressi (subway stop: Portello). Conferences, exhibitions and B2B for ideas, information, innovation and product solutions. A unique opportunity for discussion and networking, in which designers, architects, and field operators will take part. A 3.700 sqm area where to appreciate the most modern and innovative applications of Quartz Surfaces (furnishing elements, kitchen tops, coverings, ventilated walls, etc.). Workshops, follow-up masterclasses, roundtables between producers and designers.